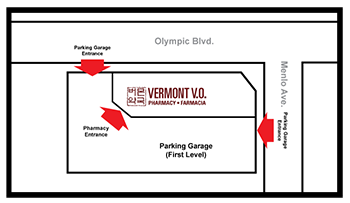 The entrance to Vermont V.O. 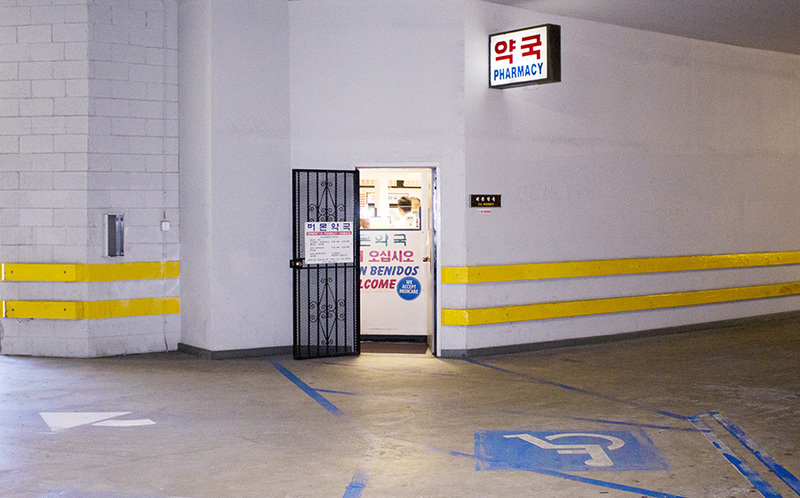 Pharmacy in located within our buildings parking lot. 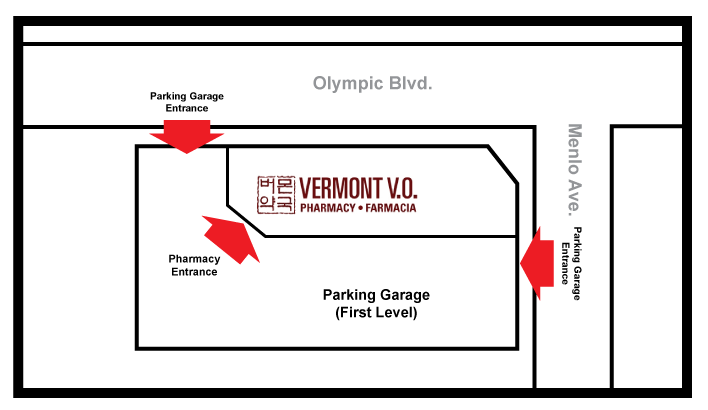 We’re on the first floor and accessible via the parking lot entrances on both Olympic Blvd. and Menlo Ave.